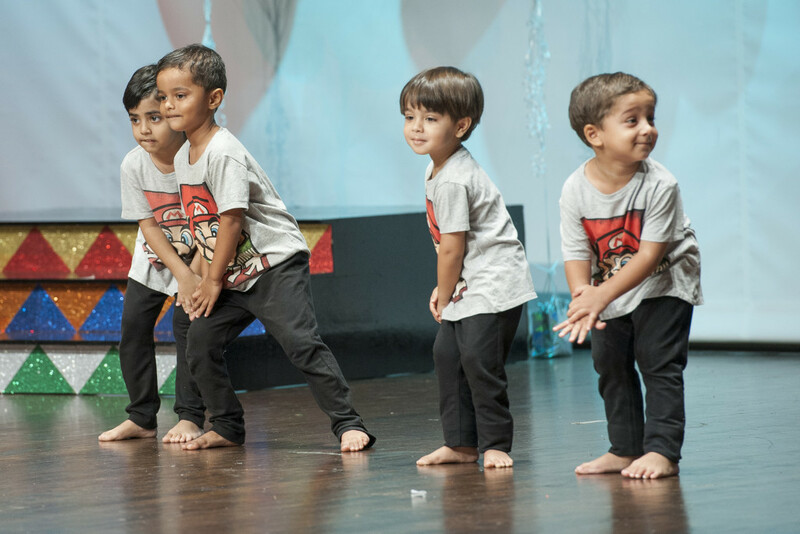 The Little Hands Performing Arts Programme started in June 2013. 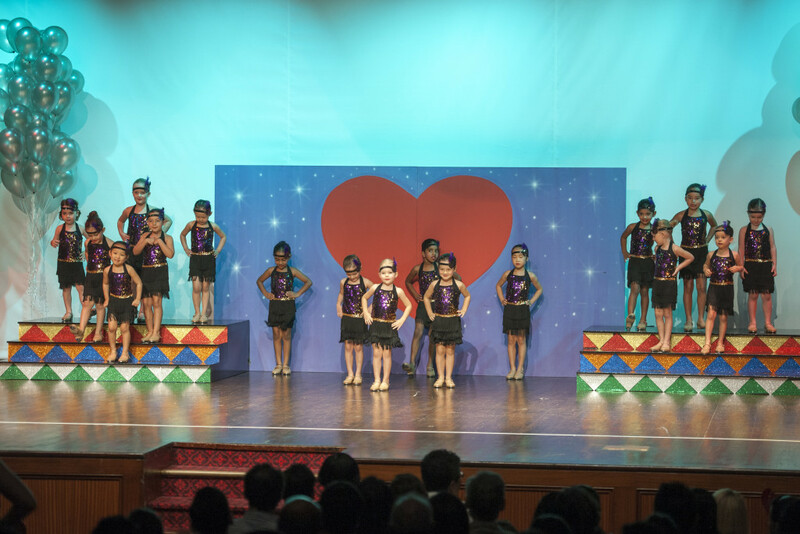 We wanted to give our children the opportunity to have a well rounded education including dance, singing, theatre, martial arts, acrobatics, mixed sports and cooking. It has been a wonderful experience watching the children blossom under the specialist teachers care. Taught by professionals in their given fields and supervised by our own staff the children get to learn in a familiar, safe environment and share these amazing experiences with their friends. The children then get to show off their skills at our end of year concert to family and friends. Our favourite time of the year. This is a one hour class conducted by Ms Charlotte on the school premises. 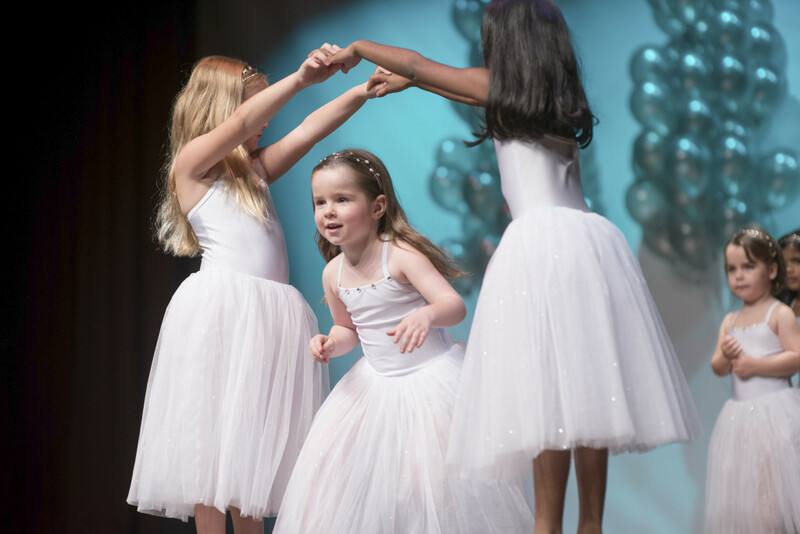 Our little ones are exposed to pre ballet techniques and movement and music enjoyment and appreciation. This class is hugely popular and the students perform an item for us at our end of year concert. Too cute to miss!!! Ballet has many benefits, helping with posture, poise, grace and discipline while satisfying that need to wear a pretty tutu with sparkles. A one hour class for our more advanced dancers. Taught by Ms Charlotte. As our bodies develop and are trained, they can do more controlled movements and become capable of longer routines. Most of the girls in our performing arts team do this class, as Ballet is the foundation of all dance. The girls perform at our end-of-year concert, and take huge pride and joy in doing so. All this fun results in better posture, poise, grace, elegance coupled with discipline and respect. Taught by Ms Charlotte this would have to be the class that get the girls most excited!!!! Tap shoes!!!! All that noise – what could be more fun! While having all the fun they learn musicality, showmanship, spatial awareness, the ability to pick up and remember choreography as well as mastering individual steps and techniques. Taught by Ms Tanya this is one of our favourite classes. The children love to sing and perform. In fact, it’s hard to stop them singing in the classes that are just for dance. Some of our favourite performances in the school ever have been song and dance. It builds confidence, musicality, self expression, co-ordination and is great for speech development and memory. We have two classes; one for the younger children and one for our senior students. This one hour class conducted by Mr Jose gives the boys a great introduction to dance and movement and music. An experienced teacher, Mr Jose keeps the class fun and active to keep the children’s attention, and mixes it up to keep them interested. All our students love Mr Jose and are very excited to see him. 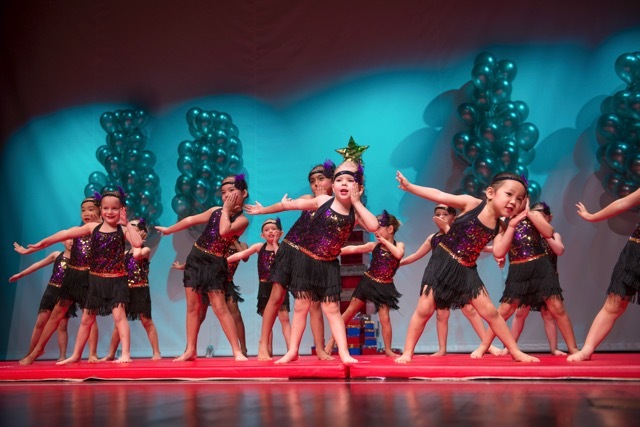 The foundation of our performing arts classes – Bubbles gym classes and acrobatics classes have existed in Little Hands for over 15 years now. A must for gross motor skills for all children. This fun afternoon programme taught by Mr Jose is held outside in the garden. 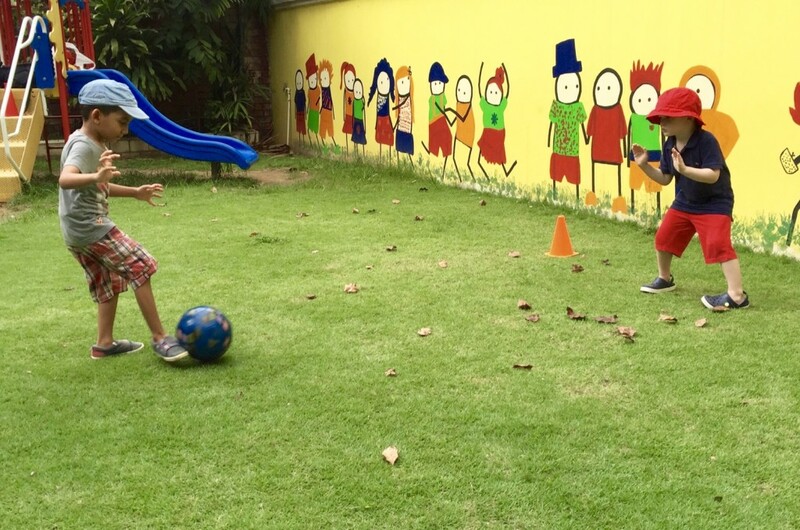 The children are introduced to a different sport or activity each fortnight. A few of the things they are working on currently are Soccer, Tball, Badminton, Obstacle course, Running/track races and Volleyball. They are soon to start flag rugby. If it rains, we move inside for martial arts, acrobatics or ball skills. A great fun way to keep fit and burn off all that extra energy after a hard day at school. This class taught by Mr Jose is suitable for children 3-6 years old. It has the physical benefits of aerobic fitness, co-ordination, balance control of their bodies and focusing their minds. On top of this, it also helps children learn self control, respect, manners and confidence. This class is loads of fun and Mr Jose also ensures that they understand about a time and place to practise their new found skills and promise to abide by the rules. Taught by Ms Jeanette, this class is one of the most popular afternoon classes. Children love cooking so much and have such good time doing it that we often forget just how many benefits it has. Cooking encompasses so many learning opportunities. 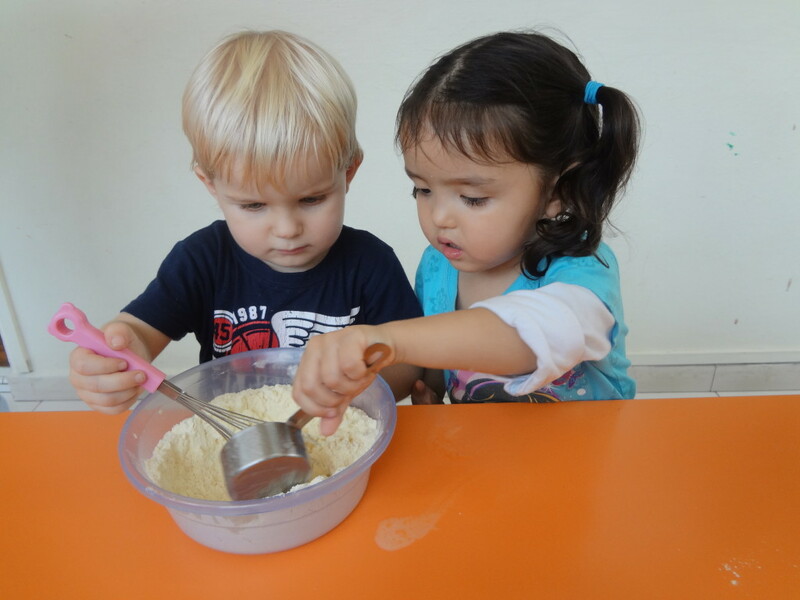 Mathematics,Language skills, Science, Physical skills, Creativity – not to mention the social and emotional development of turn taking, sharing, feeling a sense of achievement at their creation and showing not only the product but the recipes with Mum and Dad so the family can recreate them at home. The kids LOVE this class and will bring home their cooking and a beautiful cookbook complete not only with recipes but photos of them cooking too.